Replaces: 6G5-W0093-08-00 Contains parts to rebuild 3 carbs. Replaces: 6K7-W0093-09-00 Contains parts to rebuild 3 carbs. 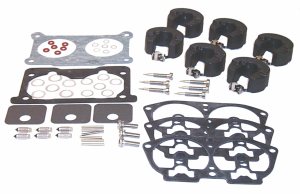 Replaces: 64D-W0093-00-00 1 kit required per carb.